This coming Thursday (May 14), the Church will commemorate the Ascension of Our Lord, the day when Jesus returned to His Father in heaven, marking the end of His bodily ministry on earth. In honor of this occasion, we offer below the first part of C. F. W. Walther’s sermon on Ascension, as found in volume 1 of his Gospel Sermons. O Jesus, how glorious is Your name in all the earth! For our redemption You not only descended into the lowest places of the earth but also ascended with divine majesty over the heaven of heavens. As You did not come into this world poor and miserable for Your sake, so You also did not leave it in glory and honor for Your sake; as You did not struggle for Yourself, so You were also not victorious for Yourself but for us whose sins You bore and whose righteousness You became. That is why You still make known Your great deeds to men; that is why You have again today given us the great grace of being able to gather and hear of Your victory. 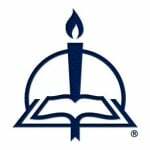 Gracious, universal, and glorious Savior, let not today’s preaching of Your glory be in vain. Let every person know that he shares in Your being received into heaven and seated at the right hand of the Father. O Lord Jesus, all of us are already victorious with You because You are our Head and the Lord of our salvation. Drive away our unbelief, which supposes that Your ascension does not concern us. Give us that faith, which says not only when You hung on the cross but also now that You sit on Your throne: You are mine! Hear us, King of heaven and King of sinners for Your own sake. Amen. In the Ascended Christ, dear hearers! We are gathered here before God to commemorate a great, precious, and glorious fact. Today we celebrate the coronation of our King of grace, Jesus Christ. I mean, the festival of His glorious ascension. It would be reasonable that today everyone who knows that he is baptized into this great Lord and Savior should joyfully enter and leave the house of the Lord. Yes, it should be reasonable, because we find the believers of the Old Testament happily praising God when they merely foresaw this day in the spirit. David cries out, “Clap your hands, all peoples! Shout to God with loud songs of joy! . . . God has gone up with a shout, the Lord with the sound of a trumpet. Sing praises to God, sing praises! Sing praises to our King, sing praises! For God is the King of all the earth; sing praises with a psalm! God reigns over the nations; God sits on His holy throne” (Psalm 47:1, 5–8). The author of Psalm 68 also rejoices and says, “The chariots of God are twice ten thousand, thousands upon thousands; the Lord is among them; Sinai is now in the sanctuary. You ascended on high, leading a host of captives in your train and receiving gifts among men, even among the rebellious, that the Lord God may dwell there. Blessed be the Lord, who daily bears us up; God is our salvation. Selah. Our God is a God of salvation, and to God, the Lord, belong deliverances from death. . . . O kingdoms of the earth, sing to God; sing praises to the Lord, Selah to him who rides in the heavens, the ancient heavens; . . . Ascribe power to God, whose majesty is over Israel, and whose power is in the skies. Awesome is God” (68:17–20, 32–33a, 34–35c). You see, thus believing Israel rejoiced when it thought of the future ascension of the Messiah. The Church of the Old Testament really believed that His ascension was something that did not concern only Christ but all redeemed, because it was the keystone, the brilliant crown, of the entire work of redemption. And so it is. If we consider the ascension of Christ only as the happy conclusion of His being freed from all suffering, all disgrace, all imperfection, all persecution and, as it were, receiving the reward for His faithfulness unto death, we would consider it without its real profit. We must in faith gaze after the Ascended as our Redeemer. We must see ourselves triumphing in Him and make His whole work the foundation of a joyful faith. Then, and only then, do we enjoy the blessed fruit that it should bring us. The ascension of Christ is a sure foundation of our faith. It bases our faith on the continual gracious presence of Christ with His congregation. Through the fall of our first parents all men have come under the power of three great enemies: sin, the Law, and death. Men became subject to the authority of sin. The Law pronounced the sentence of damnation; death obtained the power to swallow them up. These three enemies are most closely united with one another. They bind men as with one chain. The apostle describes this in the words, “The sting of death is sin, and the power of sin is the law” (1 Corinthians 15:56). First sin makes death the king of terrors; the Law then gives sin the power to condemn us. No human power was able to conquer these foes. Man had become their powerless, defenseless prisoner. If God had not taken pity on men, they would have been lost. However, the Son of God undertook the astonishing task of freeing them from their prison. And what did he do? He was made sin for us, submitted to the Law in our stead, and sprang into the jaws of death for us. He took the sins of the whole world upon Himself. He fulfilled the Law and thereby earned for us a perfect righteousness. He permitted death to swallow Him up and conquer Him through the power of His almighty life. When Christ rose victoriously from the dead, the entire fallen world triumphed with Him, the sins of all men were erased, eternal righteousness won, hell destroyed, death disarmed, life and immortality brought to light, and deliverance by God the Father Himself sealed to all men in the most wonderful manner. All our enemies lay at the feet of Him who for us had entered the arena against them. Only one thing remained if Christ should be our perfect Savior. After He had defeated all our enemies, He had to be installed as their absolute Lord. The scepter of omnipotence must be given Him; He must be crowned with heavenly glory; He must ascend the throne of divine majesty. The prophecy of the second psalm must be fulfilled, where the heavenly Father says, “As for Me, I have set My King on Zion, My holy hill. . . . Ask of Me, and I will make the nations your heritage, and the ends of the earth your possession. You shall break them with a rod of iron and dash them in pieces like a potter’s vessel” (Psalm 2:6, 8–9). And this took place through Christ’s glorious ascension and His sitting at the right hand of the Father, which followed and was connected with it. Christ as victor then held not only a public triumphal procession through the gates of heaven, but He also became the absolute Lord over sin, the Law, death, the devil, and hell. For that reason He ascended in divine splendor from the very place where in bloody sweat He waged His severest conflict against these enemies, the Mount of Olives. If we want to consider the ascension of Christ correctly, we must view Christ as the substitute and forerunner of the whole human race. David was a prototype when he killed the giant Goliath. As all Israel was delivered from the Philistines through the victory of David, so all sinners were made lords with Christ over sin, the Law, and death through His triumphant ascension. This is expressed in Psalm 68: “You ascended on high, leading a host of captives in Your train and receiving gifts among men, even among the rebellious” (v. 18). St. Paul states the very same thing in Ephesians 2: “But God, being rich in mercy, because of the great love with which He loved us, even when we were dead in our trespasses, made us alive together with Christ—by grace you have been saved—and raised us up with Him and seated us with Him in the heavenly places in Christ Jesus” (vv. 4–6). As we all are resurrected in Christ and justified by God in Him, so we have also already ascended with Christ into heaven and become lords over all our enemies in Him. And as certainly as sin can no longer harm Christ, no law condemn Him, no death rule over Him, so certainly are we also freed from their prison and translated into a heavenly life with Him, if only we believe it with our whole heart. This shows us what a secure basis we have for a joyful faith in the ascension of Christ. If we do not want to believe that sin, the Law, and death lie at our feet, we must deny completely the ascension of Christ, deny that He, who ascended into heaven, is our Savior, our Redeemer, our Brother, our Head, our Lord—deny that His labors for us have such a wonderful result. If death wants to frighten us, and hell open its jaws for us, we do not have to fear; through Christ’s ascension they have now become empty phantoms. Confidently we can and should mock them and say, “ ‘Death is swallowed up in victory.’ ‘O death, where is your victory? O death, where is your sting?’ . . . But thanks be to God, who gives us the victory through our Lord Jesus Christ” (1 Corinthians 15:54–55, 57). From Gospel Sermons, volume 1, pages 276–80 © 2013 Concordia Publishing House. All rights reserved. 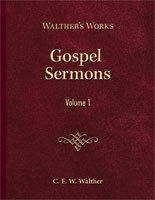 To order Gospel Sermons, volume 1, please contact CPH at 800-325-3040 or visit www.cph.org.